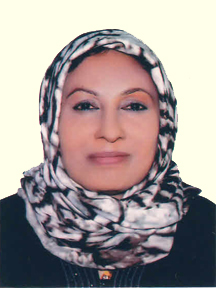 Mrs. Golam Fatema Tahera Khanam is a Director of Samorita Hospital Ltd. She is an experienced entrepreneur. She was born in 1951 at Tangail in a prominent Muslim family. She completed B.A., LL.B. from Dhaka University. She is Vice-Chairman of Mona Group of Industries, City University, Board of Trustees, MH Samorita Medical College & Hospital, Director, Sandhani Life Insurance Co. Ltd., Purabi General Insurance Co. Ltd., Amico Laboratories Ltd., Mona Financial Consultancy & Securities Ltd. and Chairman, Panna Textile Mills Ltd., Panna Spinning Mills Ltd. & Managing Director of Mona Group of Garments Ltd. She is Joint Editor The Daily Al-Ameen, Founder & GB Member Alhaj Mockbul Hossain University College, Mohammadpur Central University College, Member FBCCI, BGMEA, Red Crescent Society and Bangladesh Blind Welfare Association.